At BigKidSmallCity, we make a lot of fun lunches. Every week day the kids get something that makes them excited to get to school (and stop complaining about waking up early). 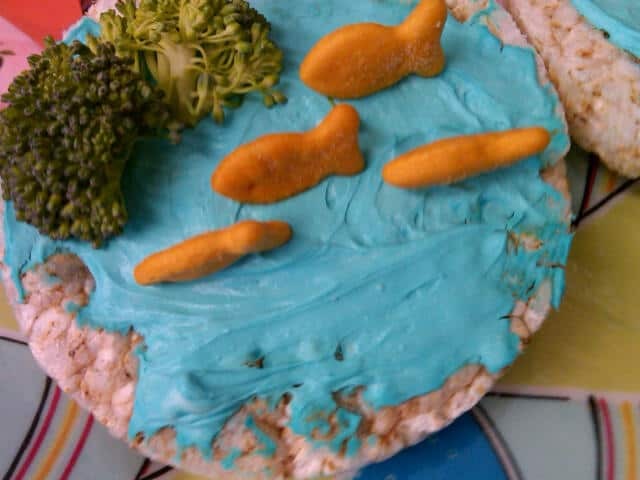 Let me remind you that I am a terrible cook and artist. I’d rather do math problems than draw a picture or cook dinner. Lucky for me, fun lunches are not hard, take minimal time and only need to please my kids (and not any art or food critics). And, I find that having some cute lunch gear makes the “fun” easy. 1. Bento Box – The bento box allows you to provide several different kinds of food in 1 reusable container. 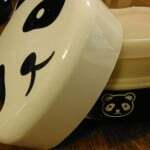 We use this basic Ziploc Container and this super cute Panda Bento Box . If you saw this ABC13 Segment, these are the Pranika’s favorite lunch boxes: Yumbox, Bentgo, Planetbox, Lunchbot. 2. Utensils – If kids get to eat with fun utensils, the lunch is usually a winner. 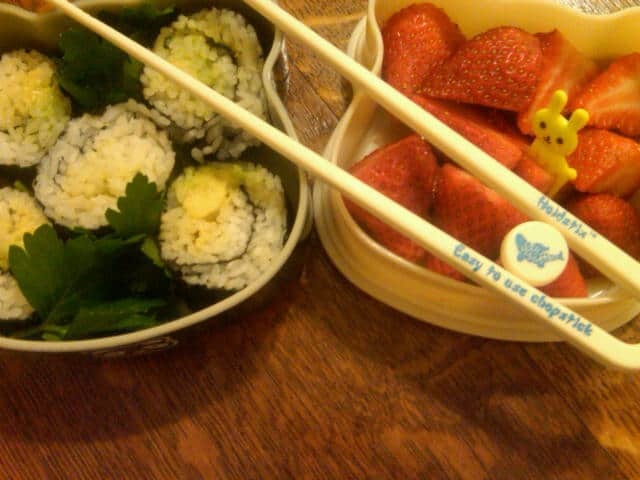 Depending on the food, we switch between Food Picks , Beginner Chopsticks and Plastic Ware . The Food Picks are good for picking up fruit and holding together tortilla wraps. 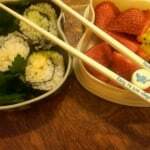 The Beginner Chopsticks are good for sushi or just a little extra lunchtime fun. I don’t like to spend too much on these items because I don’t want to yell or cry every time one goes missing or gets sucked down my garbage disposal. 3. 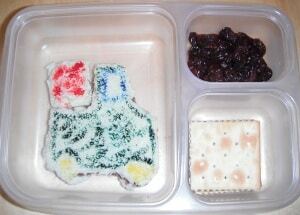 Food Coloring – Food Coloring adds a little fun to rice and cream cheese. It also comes in the form of Food Markers that can be used to draw on sandwiches, tortillas and more. When making rice balls, just add a few drops to the water before the rice starts to cook. 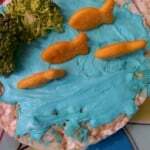 Or add some to cream cheese to make it look like water and make a rice cake pond with goldfish. If you do not have any ideas on what to do for lunch, just make a quesadilla and use the markers to draw a picture or your child’s name. 4. 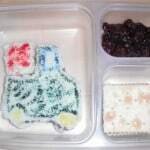 Rice & Egg Molds – Since we learned how to make rice balls, we’ve made little else. 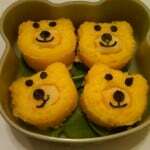 For detailed instructions on how to make them, go here. 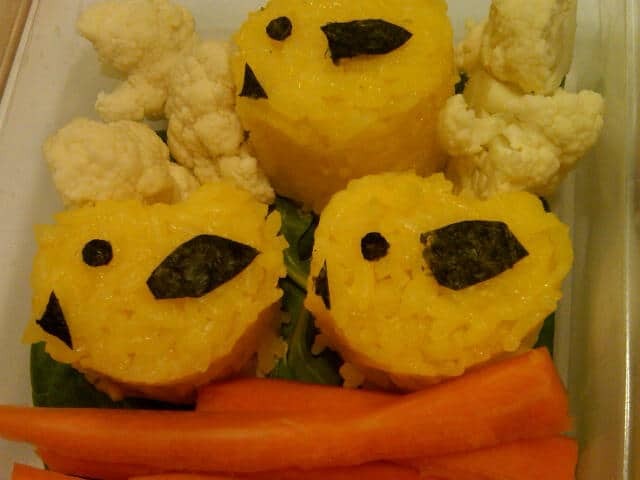 It just takes rice, Sushi Rice Mold and maybe some Nori for decoration. Another of our favorites is hard boiled eggs. They can easily be made into shapes with an Egg Mold . For instructions on using it, go here. You just need to cook the eggs, peel them while they are still warm and place them in the mold. It’s so easy to make a car shaped egg that there is no reason to have a plain hard boiled egg again! 5. 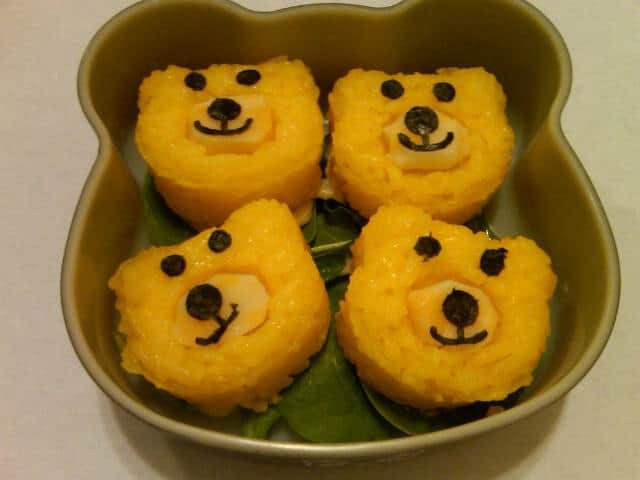 Rice Cooker – If you are going to make a lot of rice balls and sushi, you might as well get a Rice Cooker . We have this cheap one and it works great. 6. Sandwich Punches – If you are going to make a sandwich, you can make it fun with a Sandwich Cutter . It works best with sticky sandwiches, like a peanut butter and jelly. With 1 simple step, the plain old sandwich can turn into a car, plane, crown and more. 7. Cute Cut Outs, Nori Punch, Scissors and accessories – To finish off the cute lunch, you might need a little face or shape or accessory. 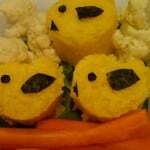 For little rice balls, a Nori Punch makes the perfect sized face. For fun shaped carrots and cucumbers, use these Vegetable Cutters . Kitchen Scissors come in handy when you need to cut a shape out of the quesadilla, nori or sandwich. These Candy Eyes are the perfect finish for some goofy face or rice ball animal. 8. Notes – Even if you do not do anything else, a personalized note can make lunch very special. You can write a love note or you can practice sight/spelling words. Either way, it will be a nice way to share some love in the middle of the school day. Go here to browse through a couple years worth of lunches. Some were good, some were bad, but they were all fun! Like Us on Facebook & We'll Donate $1.00, up to $2,000 to Houston Museum of Natural Science!